Create magical moments in and out of water. 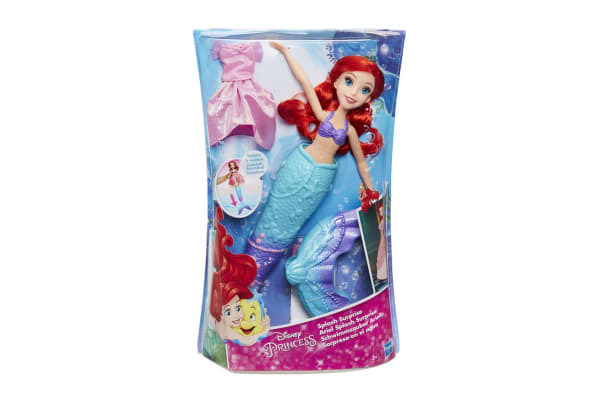 Kids can now create their own magical moments with Disney’s Ariel from The Little Mermaid. Splash around with Disney Princess Splash Surprise Ariel and help her transform from mermaid to girl. Simply place her in water and her fin will fill up. Lift her out of the water once you’ve had enough aqua fun watch as her fin opens up to reveal her legs! This means you can play with Ariel in the bathtub and in the living room. Where will her next adventure be?